The true reason for the scrapping of the South Stream gas pipeline project is Russia’s financial woes, not Bulgaria’s alleged refusal to give permission to lay the pipeline in its waters, energy expert and former Bulgarian Ambassador to Russia Ilian Vassilev has said, Russian news resource Rosbalt reports. Russian officials are maintaining silence regarding the true reasons behind their decision to terminate the project, Vassilev said. "The real reason for terminating the project lies in Russia's economic situation and declining oil prices,” he said. “Depreciation of the ruble has made it impossible to ensure financing for such an expensive project as South Stream. In addition, Moscow has received funds from Beijing on joint projects in the energy sector and now it intends to channel investments in construction of the Altai and Power of Siberia gas pipelines. The financial difficulties Gazprom is facing also played a role." According to the former ambassador, Bulgaria will not suffer any losses due to the termination of the construction of the pipeline, as Russian President Vladimir Putin has claimed, but quite the opposite. He said Moscow never intended to build South Stream in accordance with European legislation, and therefore Russia never petitioned for an exception to be made with regard to the project, as was the case with the OPAL gas pipeline, which is a continuation of the North Stream pipeline route to Germany. 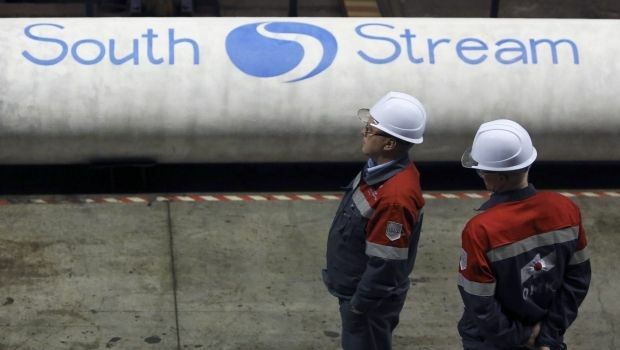 South Stream may also have been considered by the Kremlin as a means of exerting pressure rather than being an economically feasible project, the former ambassador stated. At a joint press conference with his Turkish counterpart Recep Erdogan in Ankara on December 1 Russian President Vladimir Putin announced that "under the current circumstances, Russia will not implement the South Stream project, but instead will begin construction of the offshore gas pipeline to Turkey. The head of Gazprom Alexey Miller confirmed that the South Stream project was over.